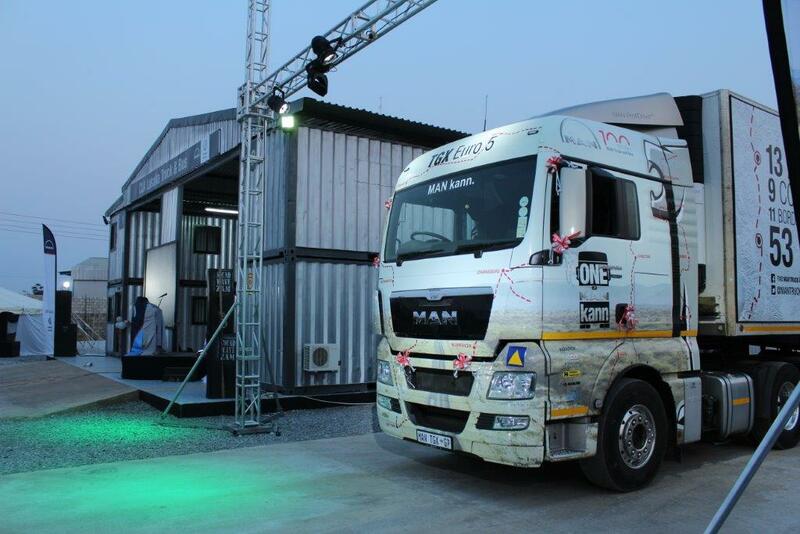 MAN Truck & Bus Sub-Equatorial Africa celebrated the opening of Africa’s first Modular Concept Workshop for heavy commercial vehicles in Lusaka, Zambia, on Monday 12 October 2015. A Zambian consortium of entrepreneurs wholly owns the new dealership, CLA Lusaka Truck & Bus, with Executive Director, Felix Siakamwi, providing handson leadership at the new facility. Situated alongside the capital city’s main logistics arterial, Kafue Road, the new modular workshop, which makes use of four shipping containers underroof on a concrete slab, boasts a reception office, parts warehouse, admin office and an engine room. The workshop floor can accommodate four trucks or buses at a time to undergo servicing and/or repair work. The Modular Concept facilitates rapid construction at a fraction of the cost of an equivalent brick and mortar workshop. CLA Lusaka Truck & bus was incorporated in 2014, stated Siakamwi, with the company being 100%-owned by Zambians. “CLA Lusaka Truck & Bus is managed by a board of directors with diverse backgrounds, experience and expertise. Ciakama Chikuba is Company Secretary while Kapemba Sakala is Nonexecutive Director,” he said. 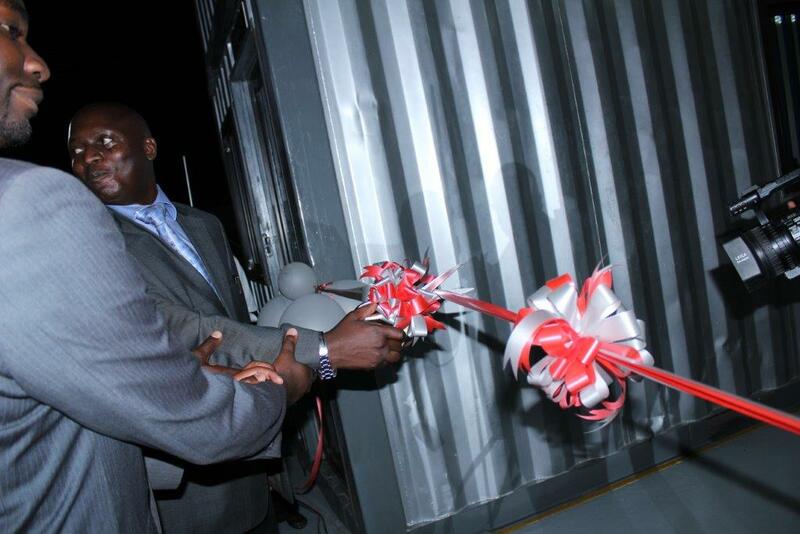 The new Modular Concept Workshop is designed in Germany and CLA Lusaka Truck & Bus is the first commercial vehicle operation in Africa to construct the MAN-approved plan. “We are extremely proud to be the first dealership in Africa to commence operations with this plan that until now has only been a concept for MAN Truck & Bus. I must credit my South African partner, Mr Thomas Ferreira (Head of Aftersales at MAN Sub-Equatorial Africa) who has personally helped plan and supervise construction of this first-in-Africa modular workshop from start to finish in just over three months. At CLA Lusaka Truck & Bus, we adopted this model as we were in a hurry to commence operations for a MAN dealership in Lusaka,” explained Siakamwi. “Up until now, MAN Truck & Bus has not been adequately represented in Lusaka or in the Central and Southern Regions of Zambia. The lead-up to representation has been through the support of MAN Sub-Equatorial Africa operating out of South Africa, as well as local MAN dealership, Turnpan Zambia Limited, situated in Kitwe. “From a global product competitiveness point of view, this paucity of representation has allowed competitor brands to gain market share in Zambia, at the expense of MAN. In some cases, this has resulted in the monopolisation of certain transport applications,” Siakamwi added. 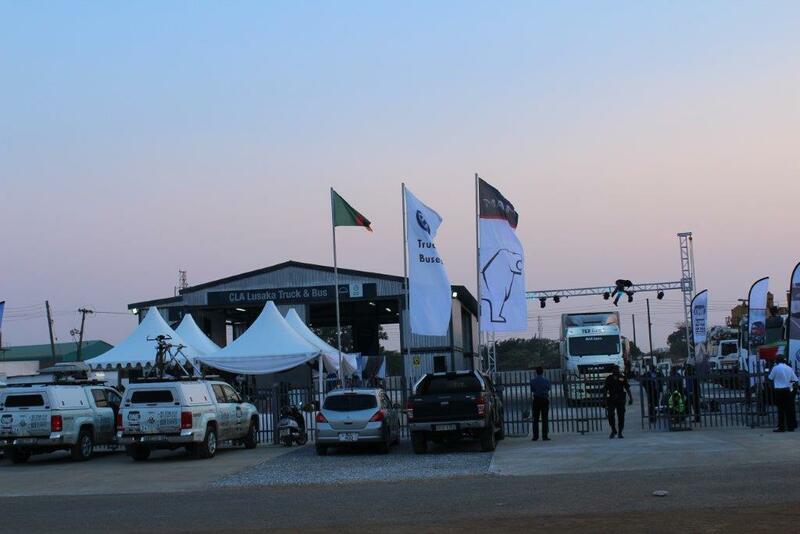 “Lusaka is a very important market for MAN Truck & Bus, specifically for its location in the region, as well as due to the economic growth it is experiencing. Zambia’s economy remains strong, with an expected GDP growth by the end of 2015 of over 6%. Inflation is expected to fall below 7%. Governance and democratic processes continue to gather strength with recent presidential by-elections reinforcing Zambia’s reputation as a peaceful and stable country. “In addition, Zambia is in an exceptional position as a landlocked country as it benefits from several reliable alternative corridors, modes of transport and access to direct investment in the transport sector, mainly from South Africa. “CLA Lusaka Truck & Bus is looking forward to positively contributing to the economy by providing MAN’s reputable branded products and services. Going forward, we would like to engage with our customers in a way that allows them to focus on their core business, while CLA Lusaka Truck & Bus does the rest, with MAN’s UpTime philosophy ensuring fleet mobility and optimum productivity,” he said. MAN’s extensive dealer network of 45 dealerships throughout southern Africa with fully trained technicians and off-the-shelf genuine parts provide around- the-clock support to customer fleets. The prospects for rapid growth at CLA Lusaka Truck & Bus are extremely promising, concluded Siakamwi: “We have identified a German finance partner who is keen to work with us and the Zambian Ministry of Transport and Communication on the prospect of a women-owner-driver transport operation scheme.